I practiced karate shotokan and sankukai for 6 years. 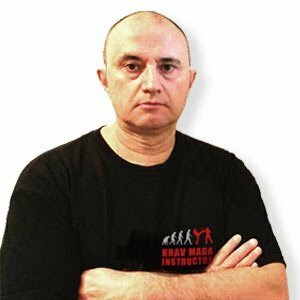 I started Krav Maga with Thomas Davin from 2007 to 2014 in Marseille. I became an instructor in 2012. I did my instructor training with Jean-Paul Jauffret, Stéphane Chatton, Megan Cohen Berkman and Amnon Darsa. I opened my club at Saint Paul Lès Romans in 2015.